Summer is usually my favorite time of the year, but for a litany of reasons, July ended up being quite a hassle. The long and short of it is that after finishing my BioShock 2 review at the end of June, I sought to get a head start on Wario Land. Through a set of very bizarre circumstances, I ended up taking longer than expected with the latter review. When I started on Spirit of Justice directly afterwards, similar to the situation with Prosecutor’s Path, I realized by Wednesday that I wouldn’t be able to finish by the weekend. I therefore spontaneously wrote a review of VVVVVV, as I knew it wouldn’t take too long to write about. Amazingly, even with the extra three days, my Spirit of Justice review ended up taking longer than expected. I was able to finish it by Sunday, but at that point, I had another problem: I only had only a week and a half to finish two reviews. I usually write these reviews during my break periods at work, attempting to get 1,000 words written per day. I knew I couldn’t finish both reviews if I stuck to my usual pattern, so I had to write my Spirit Tracks and BioShock Infinite reviews at the same time (meaning I wrote 1,000 words at home and 1,000 at work). Both reviews ended up being over 6,000 words long. And this was all on top of seeing fourteen films and writing about them. Ironically, despite being a difficult month, a majority of the reviews I wrote were positive. It wasn’t easy, but despite of all these setbacks, I was able to pull through and get every single review I promised in the last update finished. 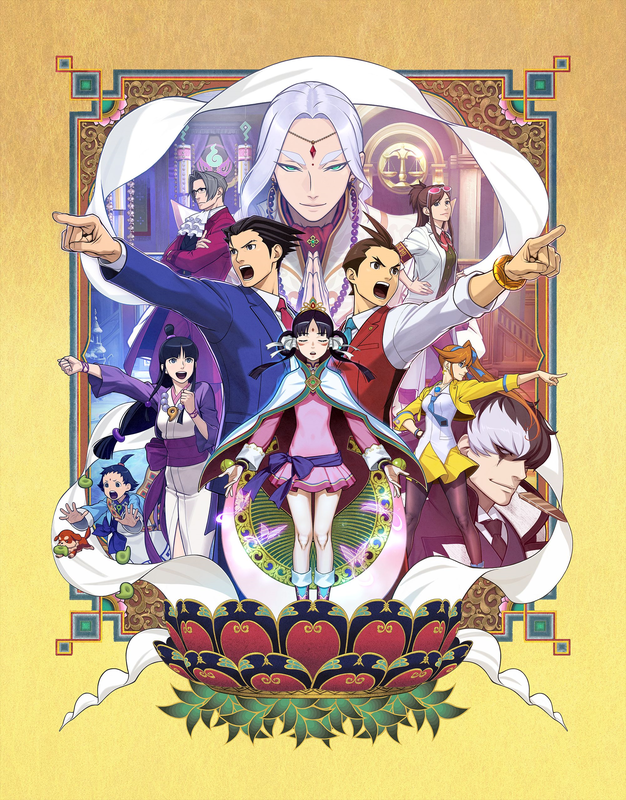 Even better – my Ace Attorney retrospective is at last complete! The only downside is that I had to momentarily sacrifice a Reel Life feature. I saw quite a few films at the end of the month, and I intend to post the feature for that week this coming Wednesday. The feature after that shall include whichever films I end up seeing this weekend. Due to the above madness, July of 2018 is quite possibly the first month of this year since January 2018 in which I did not see more films at home than I did in theaters. It’s strange because for the longest time, it was the other way around. Had I been documenting my movie viewing habits back in 2017, it wouldn’t even have been close; I ended up seeing fewer than ten films at home while I probably saw close to twenty in theaters. Either way, this month, I added a new verdict to the ones I could possibly hand out: “Mostly recommended”. If I feel the film doesn’t ascend above the level of being merely “Sort of neat”, this is the verdict it gets. I did this because I realized I was recommending a lot of films that I wasn’t particularly enthusiastic about, and that’s not how I approach critiquing games. At the same time, I felt giving an “Ambivalent” verdict to the two films I thought were worthy of a “Mostly recommended” one would be a bit too harsh. A film needs to well and truly earn that “Recommended” verdict just like developer needs to well and truly earn a 7/10 (or higher) from me. I may not have as much sure footing when it comes to talking about films (hence why I haven’t applied my usual grading system – at least not for now), but at the end of the day, I realized I should only recommend films if I’m legitimately impressed rather than being vaguely on board with it. Anyway, these past two months have been interesting in that I ended up seeing at least four directorial debuts: Hereditary, Sorry to Bother You, Eighth Grade, and Blindspotting. Respectively, they were: flat-out bad, surprisingly good, decent-but-not-stand-out, and straightforwardly good. Funnily enough, two of them were set in Oakland, though one was way more realistic than the other. As a follow up to A24’s situation from last month, I’d say they bounced back somewhat with Eighth Grade, but I still found it to be merely okay. They took major risks with both Moonlight and Good Time, but with Lady Bird and Eighth Grade, they seemed to have found a comfort zone in the form of mundane slice-of-life films. Because both films had their own set of issues, I hope they don’t end up becoming too complacent – especially given that the company’s last innovative feature, Hereditary, crashed and burned in the third act. As for any Monty Python fan who is dismayed that I highlighted Life of Brian in yellow, don’t panic – I intend to explain myself on the next Reel Life feature. On a more positive note, I’m proud to announce that I will finally award a 9/10 to a film made in the twenty-first century – though in my defense, that would’ve occurred much sooner had I been writing these segments back when I saw Memento or Hot Fuzz. It’s a little ironic that between the Super Mario Land entries, the only one I didn’t play as a kid was the one I enjoyed the most. I can imagine for many enthusiasts, the situation would be reversed with them tending to lean more towards the one they played as a kid. Having replayed the entire Super Mario Land trilogy last year, I can confirm that the first one (and to a lesser extent, the second one) have benefited from nostalgic sentiments. Both of them come across as inferior versions of console games (Super Mario Bros. and Super Mario World respectively). 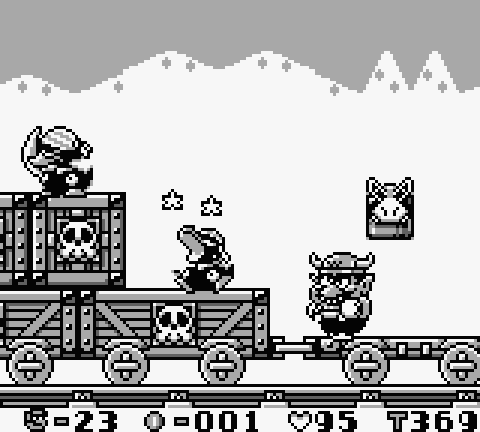 What makes Wario Land work when its two predecessors didn’t is that it didn’t bother emulating a console game. Instead, it took the Mario formula and twisted it beyond recognition. Given the direction later installments would take, Wario Land is odd in retrospect for being a pure platformer whereas its sequels featured myriad puzzle elements. Normally, this would make the game borderline inaccessible for those attempting to rediscover this one, but in the case of Wario Land, it allows it to retain its own identity in the long run. VVVVVV was among the first indie games I’d played. Though it wouldn’t be until 2017 that I would discover Braid, the game commonly cited with helping the indie scene grow, I have to say that in hindsight, I have a lot more respect for VVVVVV now. Its creator wasn’t trying to go out of his way to prove video games were art; he simply made the kind of game he wanted to make and succeeded. It may seem difficult to believe these days given the indie scene’s diversity, but back when it was budding, games were sold more on how many raw nerves their creators could touch rather than on merits of being fun to play. With critics just as itching to lend the medium artistic credence as the creators were, they went along with it. The result is that many of the games they placed on high pedestals such as Limbo and Braid haven’t fared well in the long run. Though its demo effectively spoils 40% of the game, VVVVVV is a solid effort for its time, and I give the creator a lot of credit for making a game that exists solely to be fun rather than as an extension of the author’s ego. Two months. That is how long my Prosecutor’s Path review held onto the record for the longest piece I had written before Spirit of Justice came along. I remember when I finished my 8,000-word Mother 3 review back in January of 2017 and musing that there’s little chance I would write a review that long again. I proved myself wrong the following April when I posted a 9,000-word review of The Last of Us. I liked the way they turned out, but I was kind of dismayed that my longest reviews were negative (or mostly negative in the case of Mother 3); I felt I was unintentionally lending credence to the axiom that it’s easier be negative than positive. I then proved myself wrong when I wrote my Prosecutor’s Path review, which ended being my first to exceed 10,000 words. Then to prove it wasn’t a fluke, my Spirit of Justice review ended up being a little over 13,000 words long. So again, I’d like to say the following thing to anyone who believes that it’s easier to be negative than positive: you can do better than that. Anyway, what strikes me as remarkable about Spirit of Justice is that it proves Prosecutor’s Path wasn’t a fluke. Dual Destinies was a return to form, but it was easy for fans to deem it inferior to the original trilogy (except maybe Justice for All). From this, it would be easy to conclude that, as good as the Motohide Eshiro/Takeshi Yamazaki duo is, they had to play on their home turf (the Ace Attorney Investigations subseries) to have any kind of success. Spirit of Justice obliterates that notion, for those two, along with Takuro Fuse managed to surpass Shu Takumi himself. In addition to boasting the best episode in the entire series thus far, “Turnabout Revolution”, the story itself manages to be a political thriller/courtroom drama with supernatural elements and quite a few comedic moments here and there. If that doesn’t sound interesting to you, I suggest getting help. Because I ended up not playing Phantom Hourglass back in 2007, I wound up skipping Spirit Tracks entirely. I figured that if Phantom Hourglass was underwhelming, then Spirit Tracks wouldn’t fare any better, and the lower review scores seem to only add to this perception. This assumption was proven false when I actually played it for myself. As strange as it may sound, I could tell Spirit Tracks was a better game than Phantom Hourglass within minutes of playing it. 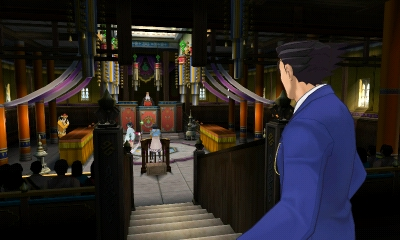 Maybe it had to do with its radically different setting, but similar to the situation with Prosecutor’s Path with respect to the original Ace Attorney Investigations, having the core gameplay down before they even started counted for a lot. Yes, Spirit Tracks does have its own fair share of annoyances, but unlike in Phantom Hourglass, they don’t get a chance to damage the experience as a whole (or at least not nearly to the same degree). Plus, I feel not having to put up with Linebeck as a sidekick is worth at least two extra points by itself – just saying. Those who have been following me for a particularly long time will know that BioShock Infinite was among the first games I reviewed. Said piece was originally posted in May of 2015. I ended up taking it down when I finally got around to reviewing BioShock earlier this year because, like a lot of my early reviews, it was bad – really bad. I basically swatted down every legitimate criticism and insisting that it was a masterpiece just because I said it was. It might be attributed to the fact that 2013 wasn’t exactly a great year for gaming, and therefore BioShock Infinite looked amazing next to its direct competition. Coupled with the fact that I hadn’t really played many story-heavy games, BioShock Infinite looked like a power hitter. In hindsight, that’s really not the case. Since then, titles such as Undertale and OneShot demonstrated a potential the AAA industry hadn’t even come close to tapping into. 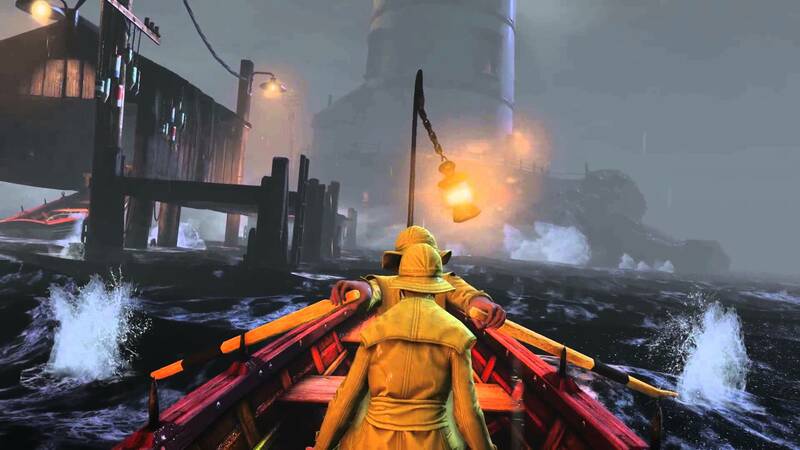 Though the mainstream critical circle would never care to admit it, they left games such as BioShock Infinite in the dust when it comes to medium-specific storytelling. As it is, BioShock Infinite is a good first-person shooter with a well-written story, but they don’t mesh well together. I still think it’s a solid experience, but it’s not the 9/10 game I originally thought it was. Bottom 10 Worst Steam Games by The Video Game Auditor – The 2010s have proven to be a rather dismal decade for Valve. After grabbing the press’s attention in the late nineties and riding that wave in the 2000s, their future looked bright going into the 2010s when they released the excellent Portal 2. And then they completely stopped caring. The next Half-Life installment remains in development limbo and they’ve given up all pretenses of quality control for their digital distribution service, Steam. With content creators allowed to engage in the dubious practice of asset flipping, the Steam has been flooded with shovelware – including at least one game that lacks an executable file. The Suburbs by Matt @ Hi-Fi Adventures – My friend, Matt, who runs Nintendobound has started a second site for his music reviews. They are definitely worth looking into if you’re a fan or are looking for good recommendations. This particular one caught my attention for one reason. The Suburbs is one of the greatest pieces of evidence one could produce when fighting off accusations that the 2010s has been a terrible decade for music. Sure, we have to put up with a lot of inane pop songs topping the charts, but the reality is that past generations didn’t fare any better in that regard (Baby Boomers had no shortage of great music to choose from in 1969 and they elevated “Sugar, Sugar” by The Archies to #1 on the billboards – I rest my case). Anyway, Matt really captures what makes The Suburbs (and Arcade Fire in general) so good – they have a larger-life-sound accompanied with very intelligent lyrics. Primal Rage by Van Rockingham – I did briefly see Primal Rage played as a kid, but in all honesty, the game didn’t seem too interesting. As the years have gone by it’s pretty obvious that the visuals, though striking for their time, haven’t aged particularly well. In his take, Van Rockingham revisits the game in an attempt to determine if he can still have fun with it all these years later. Captain Phillips by Tom Parry @ One Large Popcorn, Please! – In his take of Captain Phillips, Tom does an excellent job describing what made it so memorable. Though the film doubtlessly has its flaws, it successfully paints a picture of a situation where the people of a war-torn Somalia are forced to do terrible things just to have a chance of survival. It’s an interesting situation in which you want the pirates to lose, but you understand where they’re coming from, making it tragic all around. Plus, the film jumpstarted Barkhad Abdi’s career, allowing him to star in other great films such as Good Time and Eye in the Sky. Factorio by Mr. Wapojif – Mr. Wapojif’s latest forays in early access gaming has led him to discover Factorio, something he describes as a “really filthy, industrial version of Sim City.” I admittedly haven’t played too many simulation games, but I just might give this one a shot when it gets a proper release. Evil’s First Outing – PC – Lucius – 2012 by Matt @ 3PStart – Following a hiatus, my friend, Matt, over at 3PStart decided to review a horror game from 2012 that harked back to that era of survival horror games spawned from the success of Resident Evil. This one has something of a twist in that it makes players feel as though they’re the antagonist in a horror film. Dark Souls by Scott @ The Wizard Dojo – Scott recently made a major change to his scoring system, now only using whole numbers 1-10 in lieu of using any decimals. I myself never got the idea of using decimals, even if it’s an aggregated score, and awarding something an 8.9 comes across as wishy-washy. To punctuate this and showcase what a game needs to do to deserve a 10, he reviewed Dark Souls – easily one of the best games of the 2010s. It’s one of the few games whose creators grasp the difference between challenge and annoyance when they decide to ramp up the former for all it’s worth. Okay, as it turns out, I have four more Zelda games to review and there are four weekends in August. This means exactly what you think it means – August of 2018 for Extra Life shall be Zelda month. 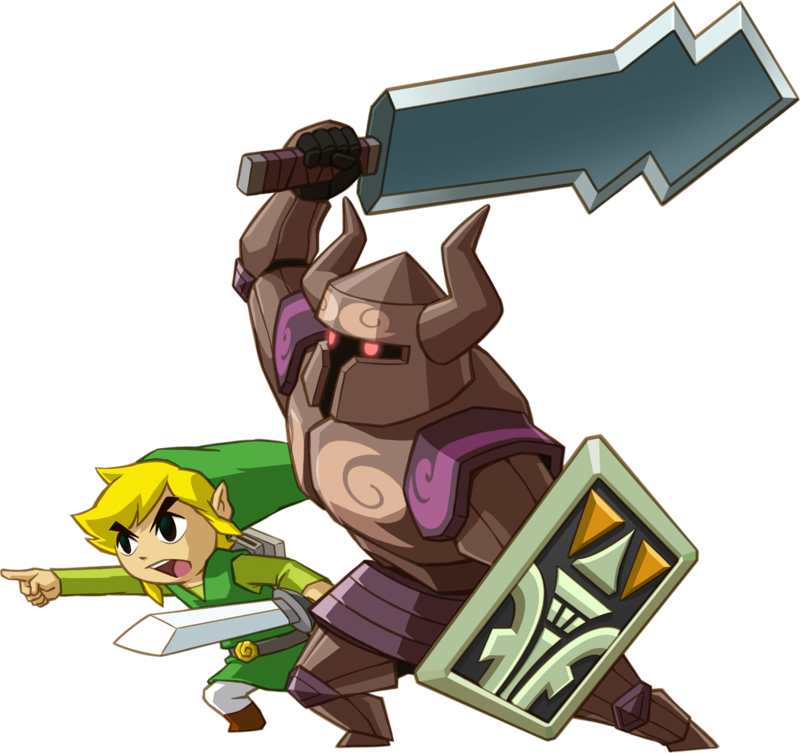 Every Sunday, I will post a review of the remaining Zelda games: Skyward Sword, A Link Between Worlds, Tri Force Heroes, and Breath of the Wild. I’d like to say that I had this planned out from the beginning, but the reality is that I’ve been kind of playing this by ear. I wasn’t even originally going to review Phantom Hourglass, Spirit Tracks, or Tri Force Heroes, but when I saw what a positive reception my Zelda reviews were getting, I decided I might as well write a full retrospective of every canonical installment. It’s been fun reviewing these games, but I’m glad I’m almost finished because from this point onward, I will be able to talk about them as soon as they come out. Also, I’ve been tinkering with the site’s features lately. At the bottom of the page is, among other things, a search bar and a list of my most recently favorited posts. I wanted to put these features on a sidebar, but I didn’t like how off-center it made the posts. Let me know if you think it looks better on a sidebar rather than at the bottom of the page and I will consider moving it there. That’s it for this month. How did your July go? I am looking forward to your other Zelda reviews. I have been replaying many of the franchise’s installments lately (more specifically, those I had not played for a while) and I have also been writing reviews (which I will publish eventually) for them as I go along. I am currently going through Oracle of Seasons after having beat A Link to the Past, Link’s Awakening, Zelda II (which I beat for the first time), and Oracle of Ages. And I plan on getting to both DS entries later to see if I like them better than I did the first time around. I can say that run was certainly inspired by your awesome takes on those games! Plus, I am glad I am not the only one who writes reviews when I have a break at work. It’s a good way to spend the time I would otherwise use just randomly browsing online. And thanks a bunch for the mention! I am glad you liked that review that much. I really love The Suburbs, and it is hard not to relate to it as we get older. I know people tend to look at Funeral as Arcade Fire’s masterpiece (which is quite fair, given it is a perfect album as far as I am concerned), but I think The Suburbs is even stronger. It’s too bad that after their initial excellent trilogy of records I could not enjoy the other two albums they have released. And you are right about music in the 2010s. There is a lot to like. I can see how someone who is majorly a rock listener (such as I) could think there is nothing of great value out there given rock does not get the exposition it once did, but there are many very good bands out there if one looks for them. Yeah, completing Zelda II for the first time is something I did rather recently myself. In fact, it wasn’t terribly long after I reviewed it last year! I have to admit I used a lot of save states attempting to get through the Great Palace because there was no way I was going to go through it a second time after losing to the Thunderbird (granted, I still say it’s not as bad as the Temple of the Ocean King). I played through Oracle of Seasons to see if I still think it’s better than Link’s Awakening; it turns out the answer is yes. I’ll be looking forward to reading your own takes on these games! I know what you mean. I find writing these reviews is a great use of my downtime. Plus, at work I am much more focused on getting them done than at home. You’re welcome! It was a good review. The Suburbs is certainly something special. It’s a bit of a shame their last two records haven’t been as good as their first three. And you know, I’ve been thinking about that – how much of this unduly negative perception toward modern music can be attributed to sour grapes (“Kids these days don’t like the music I like – therefore it stinks” or something to that effect). Sure, rock isn’t exactly mainstream at the moment, but there are plenty of great indie rock albums being produced – you just need to know where to look. I agree that Seasons (and Ages as well, for that matter) are better games than Link’s Awakening, which was an achievement for its time in the sense it proved Zelda could work in a handheld, but that was ultimately eventually surpassed. Zelda II is brutal. Too brutal for its own sake, I would say, which is why I had never gotten to beating it. Save states also helped me a whole lot. Without them, I wouldn’t have gotten to the end, that’s for sure. Hopefully Arcade Fire will recover, but by looking at the general career arch of most bands I am not too confident. I hear the “Kids these days…” argument a lot, especially from my rock-listening friends. But, like you said, if you look for it you will find something that will interest you. It’s just a matter of diving into the indie scene, and with the internet that dive is not even that hard to take. I’m glad I’m not the only one who thinks that. I even replayed the games to refresh my memory to see if Link’s Awakening was better, but no, I drew the exact same conclusion then as I do now. I did manage to get to the Great Palace without save-stating, but once I got in, I spammed them like there was no tomorrow; it’s easily the second-worst-designed dungeon in the series after the Temple of the Ocean King. They could still surprise you. There have been plenty of bands that managed to recover after a weak period, so we’ll just have to wait and see. Again, it’s one of those things where the problem is only as bad as one wants to make it. There is plenty of good music these days, but it usually doesn’t reveal itself – one has to go looking for it. Temple of the Ocean King is a nightmare. Phantom Hourglass is next in line for me and just thinking about going back into that place makes me have second thoughts about replaying the game. At least it is not as hard as the Great Palace It’s “just” annoying. Hopefully they will return with a strong album. Thanks for the mention! Dark Souls is certainly one of the best games of this decade, and of all time. Its successors (primarily DS3 and Bloodborne) are also excellent! In fact I might even say the ‘SoulsBorne’ series might be my third favorite, after Super Mario and Donkey Kong. It’s basically fighting with Zelda for that spot. Also glad you mentioned it because I’m running low on 10s to give to games. When I first launched my current site, under my strict criteria I imagined there’d be around 8 or 9 games I’d give a perfect 10 to – most of those I’ve reviewed (Galaxy 2, Mario World, SotN, DKC2, SMRPG), but a couple need replays before I make anything concrete, so I’ll wait to reveal them – It’s only been over a year when this changed. Breath of the Wild and Super Mario Odyssey were both easy 10s for me, and my re-evaluation of Undertale and rediscovering of Dark Souls brought them up two more. Hopefully this doesn’t make me seem too much like an easy grader. But I guess I’m not going to deny something a 10 just ’cause. Gotta be honest. The only other game I seriously considered a 10 for was (no surprise from me) DKC: Tropical Freeze. So if I did use a needlessly intricate decimal system, that would be like my 9.9 (or 9.99999999, whatever) game. Of course, the fact that people who use .1 rating systems tend to have more games rated 10 than 9.9s is kind of telling how silly such systems are. Anyway, play Tropical Freeze! Keep up the great work as always. Looking forward to the remaining Zelda reviews. Oh, there’s no question of that. It also speaks to how good 2011 was for games; in any other year, a game like Portal 2 or Prosecutor’s Path would’ve won my “Game of the Year” title without breaking a sweat. As it stands, both got beaten out by Dark Souls. That said, I haven’t played much beyond the original; I really ought to address that at some point. I’ll just say right now that I’ve already reviewed most of my own 10/10 games by this point. I’ve been thinking about rewriting my Undertale review to make a stronger case for its own 10/10, but I think I would prefer to do a second playthrough before then. Either way, you’re right; even aggregating the parameters, I don’t really get how critics can hand out scores like 8.6 or 9.7. It comes across as a rather mechanical system. Thanks! I’ll do my best to do them justice. Up next is Skyward Sword! 2011 was exceptional, no doubt. I guess I’ll go ahead and spoil this now, but Portal 2 is one of those other 10s I thought about going into the creation of my website. But I guess a refresher playthrough is in order before I make anything official. Definitely play the other Souls games. Dark Souls 3 and Bloodborne are on a similar level to the first game. Dark Souls 2 was also really good. Like I said before, it’s kind of funny how we switched our number of 10s. Again, going into my site I figured I had eight or so 10s (definitely less than ten distinct games), whereas you had ‘less than 15’ lined up (I remember these things. Don’t think details escape me). But now it’s reversed. I would say I probably have around 12 or so total. Though since I’ve given 10s to Dark Souls, Undertale, Breath of the Wild and Odyssey, I think I might ultimately give more 2010s games top marks than 90s ones, which is in contrast to what I said in one of my past blogs. However, the 90s ones still might rank higher (for the most part) in my list of favorites, for the obvious “test of time” element. Skyward Sword… a good game, and I definitely loved it for the most part while playing it. But its flaws are HUGE! A perfect example of a game that would have been so much better if it were shorter. I should play it again so I can review it myself. Looking forward to what you have to say about it. Yeah, I’m just going to say that it’s one of my own 10/10s as well. It would be remiss of me if I didn’t award it that grade; it really is one of the decade’s finest works. From a historical standpoint, the nineties has two big advantages: A) its biggest disasters such as Metal Morph were left to fall by the wayside and B) it had an extremely large volume of good games. The 2010s may have been a chaotic decade for video games, but I would also argue that what it lacks in quality, it more than makes up for in quality. Indeed, I can see myself declaring it the medium’s finest decade once all is said and done; I look forward to when everyone else catches up. Good news! My Skyward Sword review has been scheduled. You can look forward to reading it in about seven hours. I’ll avoid saying too much for now, but I will say your assessment is right on the money. Wow, July was super busy for you! 🙂 First, congratulations on the Phoenix Wright retrospective! All of the posts I’ve gotten to read have had impressive research behind them and I learned a lot about the series in general thanks to those. Indeed it was; I’m surprised I managed to get everything done – well, almost everything. The good news is that the Reel Life feature I missed is already scheduled to be posted this coming Wednesday. As I’ve said in the past, I’ve always found the backstories behind these games fascinating. For example, I remember it thinking quite odd that the Western title for Spirit Tracks was determined before the domestic one – no matter what medium you’re talking about, that is very unusual. No problem! I’m always happy to feature something that deserves it. It was a great comeback article, I’d say. Hope you enjoy my July posts; next review is Skyward Sword! I will do whatever I can to ensure it gets done by Sunday. I wish I had your skill for writing detailed reviews. You type more words in a day than I do in a week! Ah, thanks! That really means a lot. I’m glad you’ve been enjoying them that much. I think as long as you keep at it, you’ll be impressed with how much you can improve. There used to be a day in which I couldn’t be counted on to write three 2,000-word reviews per month. Nowadays, 2,000 words is how long my short reviews are. Oh, you’re definitely in for one hell of a ride – I can tell you that much. If you thought the franchise had nowhere left to go, think again. Ant Man & The Wasp was awesome, wasn’t it?